We believe that it's who you run with that makes the best memories! We had a slower month running wise, but have been keeping busy behind the scenes! Not too much to update this month, but we are working on a lot of fun events for the next couple months. 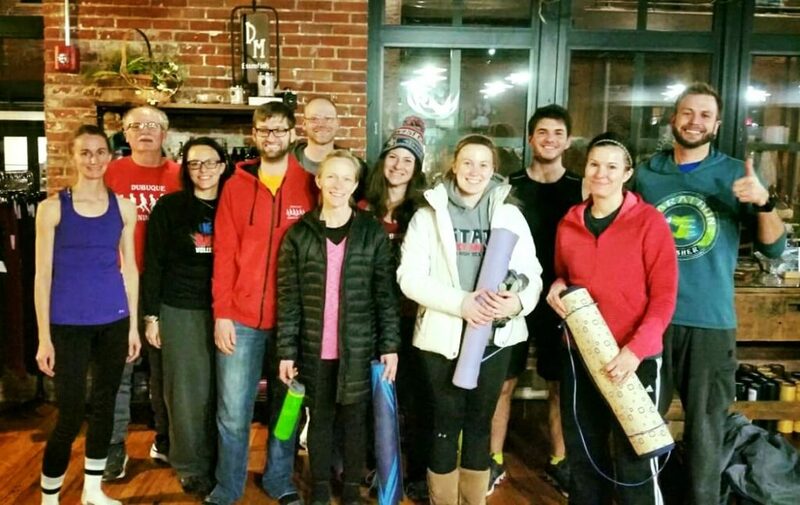 We enjoyed a great session of Yoga with Jessica Hruska of Empowering Possibilities and we are going to keep the trend going of one group yoga session a month! Check out our next session on Wednesday March 7th at 6:30pm! Unfortunately there was a slight hiccup with developing the new webstore! Bill ran into time constraints as well, but we are working on getting this updated as quickly as possible. Thanks for your patience! With daylight savings time and more sunlight right around the corner, we will start doing our group runs on Tuesdays and Thursdays again. Until the parks open up we will be meeting at University of Dubuque in the parking lot next to the track. As stated above, we will be doing another Yoga night with Jessica Hruska – Event can be found here. The MVRA is hosting their first free workshop along with Mercy Dubuque on Thursday March 15th at Inspire Cafe starting at 6 PM. We will be hosting a short 2 mile no drop group run starting at 5:15pm and sticking around to answer any questions about the DRC and running in general. Come check it out! We plan on making an event on Sunday March 25th to start at Merge Performance – we will keep you updated about the details through Facebook! Hello all! Here’s an update on what we’ve accomplished in January as well as whats in store for the future! The DRC Social run at 7 Hills Brewery was a great success! Counted 29 heads in the picture, but we also had many more who came and enjoyed the social aspect of it with food and drinks! 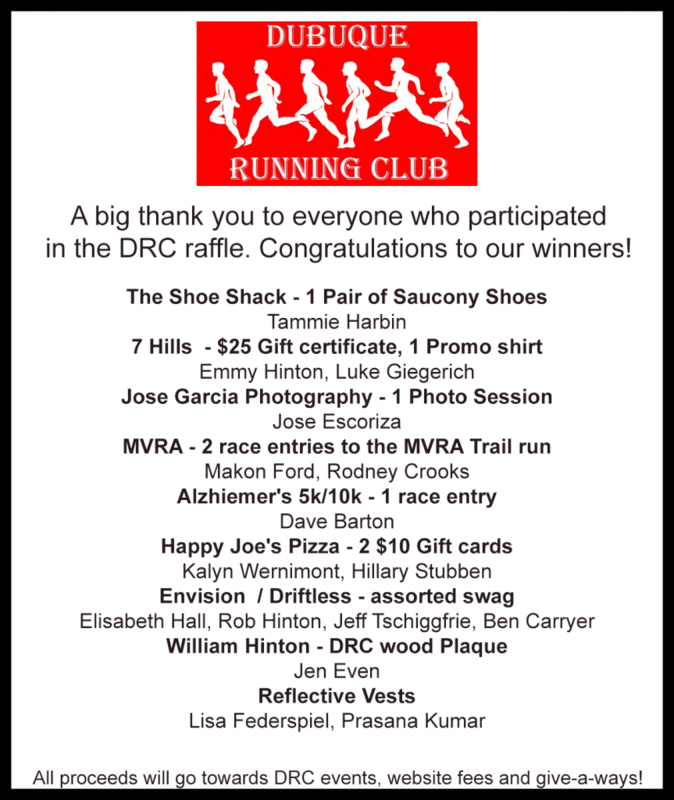 We set up our raffle to help fund the DRC and had great success! We took in enough to cover website costs and now have plenty of freedom and flexibility to host a lot of great events that we have lined up. We appreciate everyone who donated and made this raffle successful! A HUGE thanks to the support we got from all the local businesses that allowed the raffle to be such a success! We did a soft-update on our website! WE ARE WORKING WITH eNVISION TO UPDATE OUR WEB STORE! We are excited to be working with Envision to get a new updated webstore with even more DRC Gear. 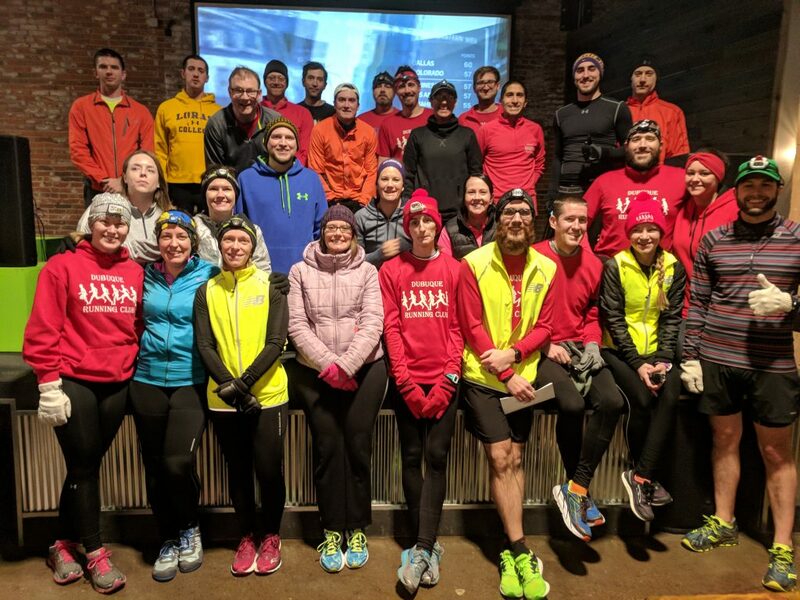 We have been evaluating different options and listening to the runners to see what they would like…we’ll update as we get more information, but are hoping to have this open mid February to get in gear for the March races! Group runs for Tuesday and Thursday will resume Starting in March!